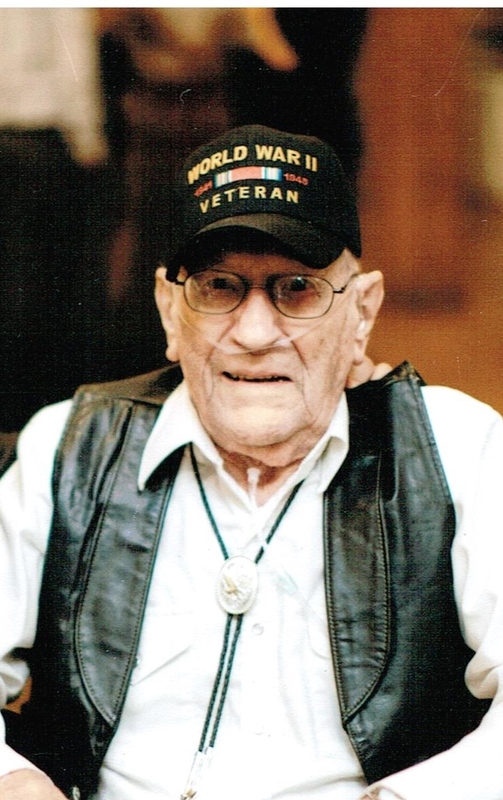 Francis John Maierhauser, 94, passed away Friday, March 16, 2018 at Southridge Health Care in Sioux Falls. Maier grew up in the Yankton and Gayville, South Dakota area. His family lived in Minnesota for a short time before moving back to Gayville to run a family butcher shop where Maier and his brother, Joe, worked with their father, Joseph. He graduated from Gayville High School in 1941 and continued to work with his father. He was inducted into the Army on March 17, 1943, serving 3 years and a month with one year and twenty days in Northern France before returning to the states with a rank or TEC-5. He was assigned to Heavy Truck Driver duties until his unit was Demobilized and he received an Honorable Discharge April 18, 1946. After returning home he began a truck driving career that took him from coast to coast many times and to Alaska. He had many stories of his over-the-road days especially about the early days driving trucks from the ‘40’s and ‘50’s facing the inclement weather issues in the mountains, desert, and narrow roads. An Alaska trip was quite an adventure helping a friend of his father’s move there. The trip ended up being stalled by a road blockage which, after a few days wait, became a budget shortage to only one remaining dime in his pocket for a cup of soup and crackers. The word got out and he was be-friended by some others who shared some eggs and ham if he would cook for them. He met the love of his life, Francis “Fran” E. Dougherty, in Gayville while she was teaching Math in the Gayville school. They were married in 1950, lived in Gayville and Irene, then moving to Sioux Falls in 1955. He continued in the over-the-road trucking business until 1967 when Fran accepted a job in Louisville, Kentucky where Maier started a career with GE in various capacities that included truck driving until retirement. They moved back to Sioux Falls in 1992 to be closer to family. They enjoyed trips to Rapid City to see his brother, Joe, his nephew Joe who operated the Reptile Garden there and to see Joe’s girls Loy and Addie. It was always a good opportunity to find another western style Bolero tie for his collection. The move back gave them a chance to get reacquainted with Fran’s brother, John Dougherty, and family, cousin’s, and friends from their days in Sioux Falls. Maier got involved in a bowling league and was a regular for many years. He was also active and supportive of the DAV, VFW, and American Legion chapters here. He got into building military model airplanes which he set on his home shelves but also gave many to the military offices in Sioux Falls. Maier’s knee and back bothered him so he couldn’t exercise much but was supportive of Fran’s interest in walking and would take her to the mall, so she could walk. He would grab a cup of coffee while waiting for her, and eventually met Bret LaCroix, an Air Force Recruiter, who became their close special friend. The friendship grew to include Bret’s kids and extended family who all grew close to both Maier and Fran. They shared dinners, helped plan birthday outings, and assisted with day to day appointments whenever Bret or whoever was available could drive them. Grateful for Maier and Fran’s generosity and friendship are cousin’s Karen Fitzpatrick Miller, AnnaRose Hartke, Bob Thoen, and Karen Thoen Ortman. Maier is survived by his nephew Joe Maierhauser, Rapid City, Joe’s daughters, Loy and Addie Maierhauser, Bozeman, Montana, and many relatives of Fran’s on the Dougherty side of the family. He will be greatly missed by his friends Bret and Ellen LaCroix, and Whitney LaCroix and their families. He was preceded in death by his wife, Francis E. Maierhauser, parents, Joseph and Angela Maierhauser, and brother, Joseph Maierhauser. Funeral Service will be Wednesday the 21st, 2:00 PM at Barnett-Lewis Funeral Home.